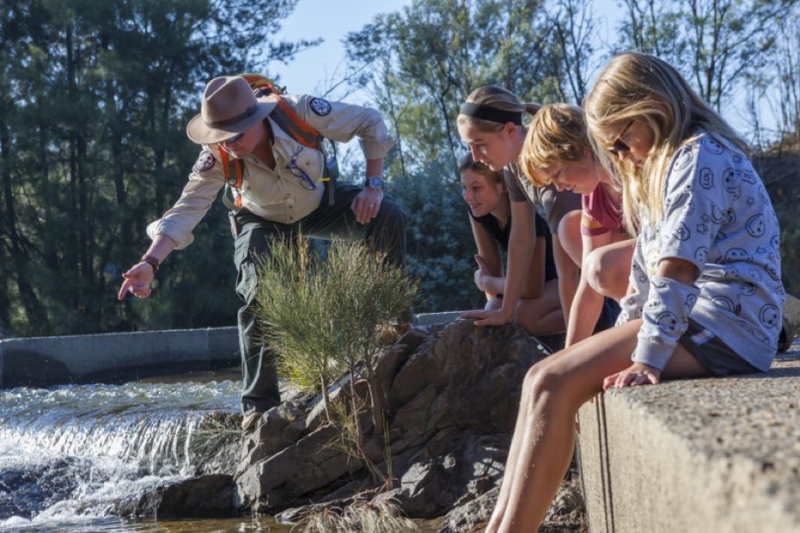 Tidbinbilla has plenty to offer visitors of all ages. Photo: Supplied. Do you have visitors from overseas and want to give them a memorable Aussie experience? Have kids with energy to burn? Or you just like getting out into nature and discovering the best of local flora and fauna? Then put Tidbinbilla Nature Reserve on your to do list! 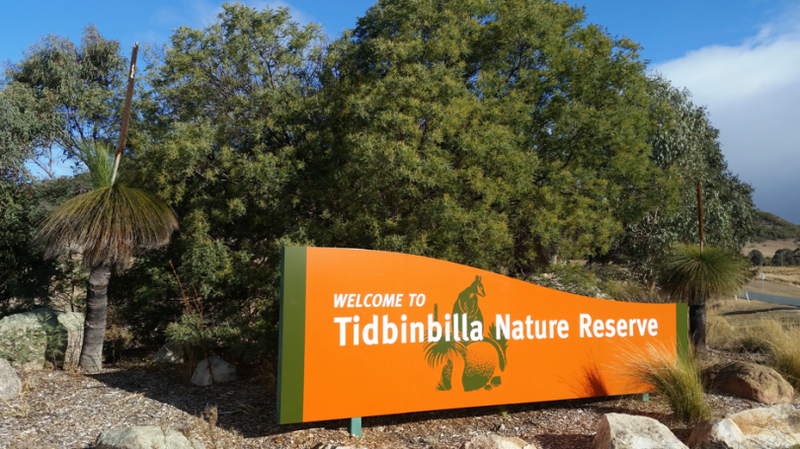 Visitors can get up close to all kinds of native Australian animals, head out for a bushwalk, relax with a picnic, enjoy a bike ride take a Sunday drive or explore ancient Aboriginal sites – it’s all on offer at Tidbinbilla, just south of Canberra. There is no shortage of things to explore, but wildlife including kangaroos, wallabies, platypus, koalas, pelicans, emus and much more is especially abundant. 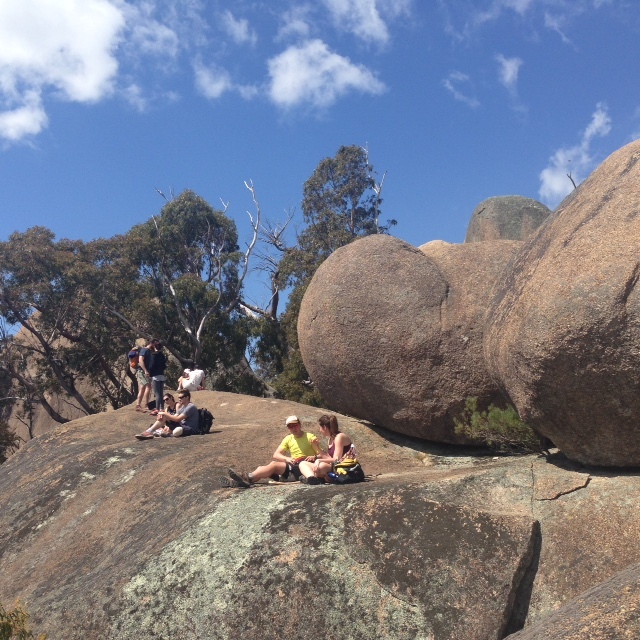 Tidbinbilla Nature Reserve is a 54.5 square km protected area on the fringe of Namadgi National Park. The nature reserve consists of a broad valley floor, the Tidbinbilla Mountain and the Gibraltar Range. And it’s practically on Canberra’s doorstep, so it’s an easy day trip. Gibraltar Peak is a popular destination for hikers in Tidbinbilla. Photo: Lisa Martin. Tidbinbilla is a short drive from Canberra but feels like it’s a long way from the big smoke. It’s pristine, the air is crisp, and the only sounds you’re likely to hear come from nature. There’s a fabulous Visitor Centre, which is a great place to start your visit. It’s the place to find current information about walks and ranger-guided activities. There’s a gift shop and you can buy light refreshments. Want to see kangaroos, koalas, reptiles and more in their natural setting? At Tidbinbilla you can, plus you may see wandering wallabies and emus, or even catch a glimpse of an elusive platypus or the endangered northern corroboree frogs with their lime stripes. Along the Koala Path, there are wallaroos, wombats, parrots and of course, koalas. There are wheelchair-accessible walkways to explore and a vast wetlands ecosystem surrounded by bush, and plenty of walking trails to explore. Walks range from a leisurely stroll to challenging day trips. If you’re feeling energetic, you can hike through the cool forest to a tumbling mountain stream on the one hour Cascades Trail, get brilliant mountain views on the short walk around Turkey Hill, or wander through fern gullies on the more challenging Fishing Gap Trail or Camel Back Trails. Guided activities are held on weekends and during school holidays. Learn to draw birds, learn about the critters of the forest, or even enjoy a session called Birds and Brew, which combines craft beer and the world of all things feathered! It’s not all about walking: you can also jump on a mountain bike and enjoy the reserve on sealed roads and fire trails. Try the tracks around Jedbinbilla and Gibraltar Peak. There are sites of Aboriginal significance in Tidbinbilla, including the Birrigai Rock Shelter, the oldest Aboriginal site in the area. Head up to the Birrigai Time Trail from the Visitor Centre. Bogong Rocks contains the earliest evidence of Aboriginal occupation at a Bogong moth nesting site, and it is believed that Tidbinbilla Mountain was once used for initiation ceremonies. Europeans settled the valley in the mid-1800s and you can explore the remnants of the lives of the early settlers in the area, like the restored ruins of an 1895 rammed earth homestead at the Rock Valley Heritage Site. At the Church Rock Heritage Loop, you can walk in the footsteps of pioneers. The Nature Discovery Playground is lots of fun for all ages, and there are plenty of idyllic picnic spots and fresh open air. Kids can get up close to koalas, echidnas and wallabies, pump water like a pioneer, ride a zip line and become part of a giant sundial. Tidbinbilla nature reserve. Photo: Canberra Day Trips. Access to the nature reserve is off Paddy’s River Road, via Cotter Road if coming from the Weston Creek area. An alternative route is via Drakeford Drive, Woodcock Ave and Point Hut Crossing in Gordon, with access via Tidbinbilla Road. Tidbinbilla has something to offer year-round, but it’s just about all outdoors so wait for a beautiful day with good weather. Check out the events calendar for special activities throughout the year. Duration: it takes about 40 minutes to drive to Tidbinbilla from the centre of Canberra. Distance from Canberra: 43km from the city. Leave your dogs at home – they are not permitted in the national park. What is your favourite thing to do at Tidbinbilla Nature Reserve?